Our health is something that we all care for. On a daily basis, we take care of our health in all the ways possible. Be it with the help of going to the gym, or doing different types of fitness exercises, our health and its well being always stays at the foremost of our minds. But do we always get the time from our daily schedule to sit and take proper care of our health, mind, and soul? The answer to it by most of you will surely be no. Honey Diet. That is why we all keep searching for easier and better ways to maintain our health and body every day. The best way to keep ourselves healthy and fit in the ever running world is by having honey. Yes, though it sounds odd but it is a fascinating thing that honey shares. The ayurvedic components that are there in honey make it the best thing for our mind, body and soul. 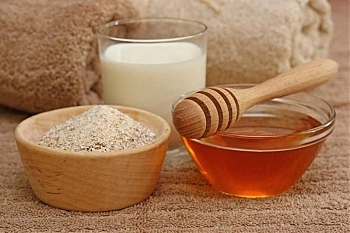 If you are thinking on how to incorporate honey in your health then let me tell you easy ways of the same. If you are an early riser, then the best way to add honey to your routine is by drinking honey mixed with warm water every morning with a dash of lemon juice in it. This keeps the skin and the body rejuvenated maintaining a decent glow on the face of the consumer and also adding the most needed energy that a person needs to carry on the whole day. For the people who are late risers and who simple have breakfast before going to work, it is advice-able for them to add a spoonful of honey to their breakfast cereal before eating it. It enhances the taste of the cereal and along with it, also adds to the health of the individual who is eating it. For kids, the best way to consume honey is by having just a spoonful of it every day without fail. This would enhance the energy and overall growth of the kid in every aspect. A honey filled diet is something that every person should abide by and then only they will be able to lead a wonderful and healthy life without spending much on the technicalities of it. I would suggest, for everyone, to follow up the crash diet this summer and add a dash of honey to the whole diet so that it makes a tasty and healthy and a nutritious diet for people of all age groups. Honey also helps remove the excess fat from the body and teams up to make a wonderful enhancer for the mind, body and soul as a whole for a greater and happier daily living.